So, where did we leave off? Ahh yes, watching the sunset in Oia! We spent about an hour waiting for the sun to set and then just sat back, relaxed and watched. The sunset really was absolutely gorgeous. Once the sun set, we tried to make our way back into town to find a place to eat. The streets were insanely packed though and it took us a really long time to get back to the center of town. The crowds just to get up the street after the sunset. The streets were so crowded that we snuck into a bakery for some baklava to bring back to our hotel. 3 days in Greece and this was the first place I found baklava! Since everything was so crowded, we decided to make our way back to Fira for dinner. We had an ok meal and sampled some of the locally brewed Santorini beer before calling it a night. The next day, we slept in and took an afternoon bus to Akrotiri to see the ruins. 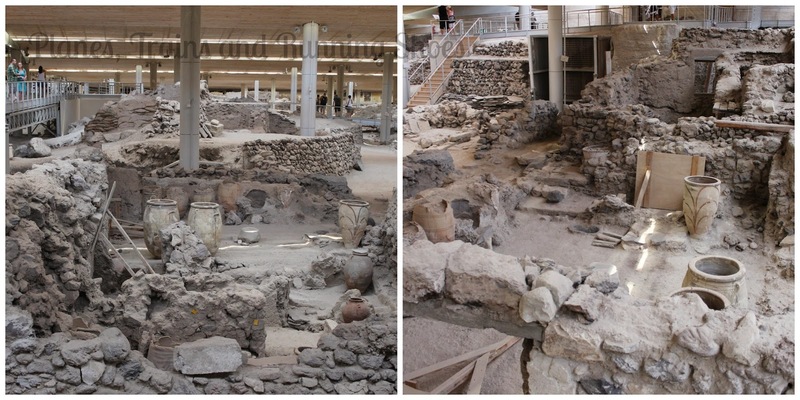 Akrotiri is a Minoan settlement which was discovered in 1967 after being buried in volcanic ash since about 1600 BC. It's often thought to be the lost city of Atlantis. It was incredible. The site is a living laboratory where archaeologists continue to work to this day. It is enormous, and impeccably preserved and pictures do not do it justice. 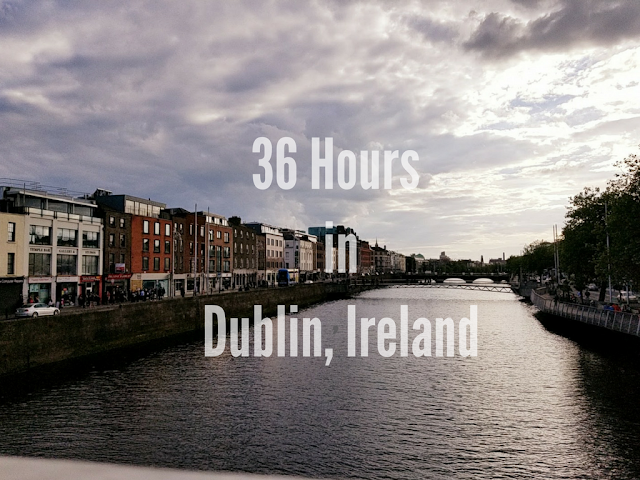 We spent well over an hour perusing through the city. It was awesome. I wish we could have done a guided tour, but we weren't willing to cough up the 60 euros to do it! When we left the ruins, we were pretty tired. We didn't get to Akrotiri until two hours after we had wanted to because of some issues with the buses, so we made our way back to Fira to get in some pool time before doing a little shopping, since it was our last day in Santorini. Sunday was our last day in Santorini. We were taking a 5pm ferry to Crete, so we woke up, had breakfast and spent the day by the pool, reading, sun bathing, and just relaxing. We really didn't have much of a desire to do anything else. To be honest, I really didn't like Santorini. When cruise shops dock and unload anywhere from 800-1,000 tourists on the island each day, it's really hard to feel like you're anywhere but a cruise ship. The fact that the entire island seems to be comprised solely of tourists left me really missing the culture that I expected to find in Greece, and we were there during what is considered the off season! I was also tremendously disappointed to find that the food was not very good. Rather than serving traditional mezzes (small plates), the whole island caters to Western style portions of appetizers, entrees, and desserts, which left a lot to be desired. I was also really disappointed to find that all of the seafood is frozen! I was happy that the menus stated this, but I expected to have fresh-out-of-the-water seafood for almost every meal of the day. I also hated the bus system. 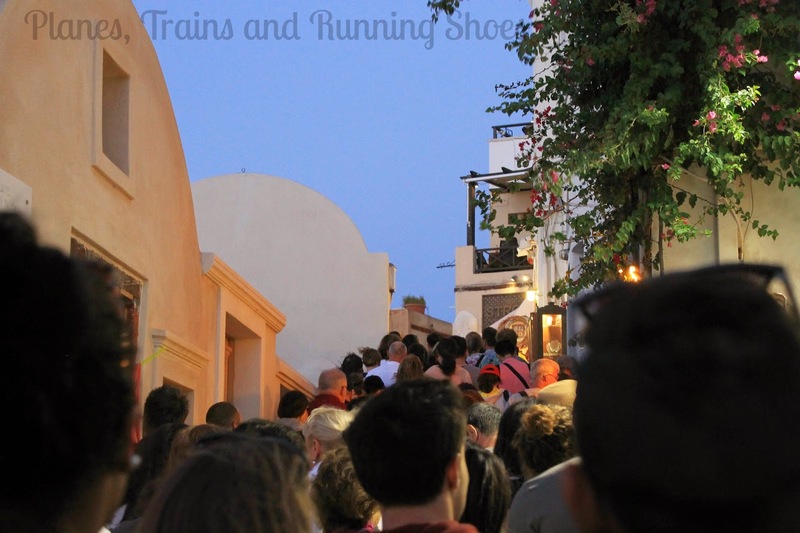 It was chaotic, the drivers were rude, and it was not at all uncommon to be on a standing-room-only bus, weaving through the cliffs of Santorini. The island was beautiful, there's no denying that, but it wasn't at all what I expected and we were both disappointed. We still had an amazing time, how could we not? We were on our honeymoon after all, and weren't going to let anything bring us down, but the is land was definitely more chaotic than relaxing. Now, I can definitely say that Crete was completely different; but that's a post for another day! We stayed at Anamnesis City Spa Hotel for 78 euros per night. It was a perfect little oasis that we adored coming back to every night. Buses around Santorini cost anywhere from 1.40 to 2.50 euros. Our highlight was the Akrotiri ruins. 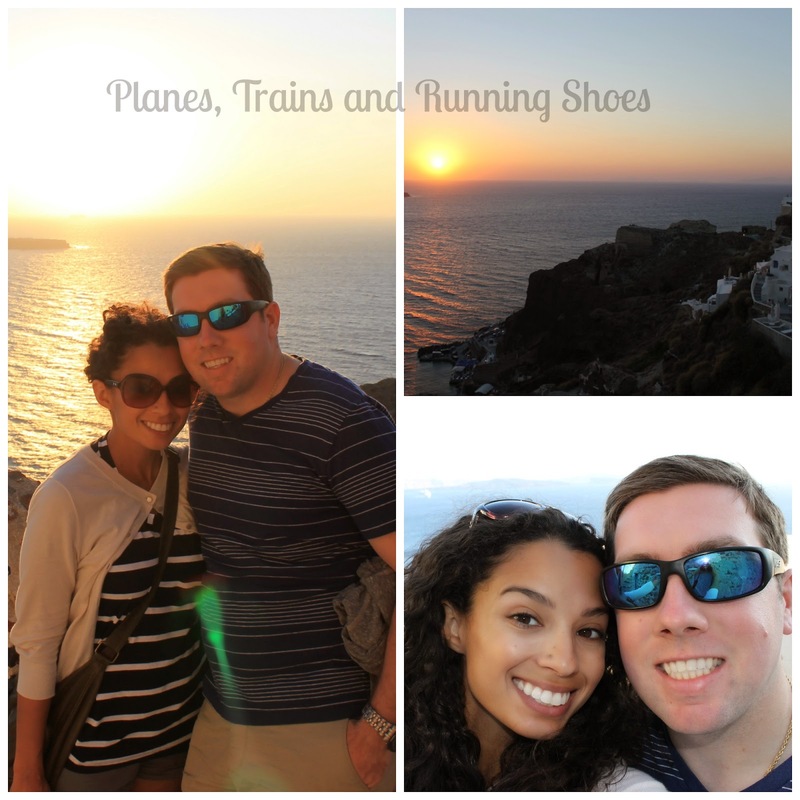 These pictures are amazing, but thank you for sharing how you really felt about Santorini! I am shocked to hear about the food - not at all what I was expecting to hear! What a bummer! Still looks beautiful though! When I visited Greece we didn't have the time or money to get to one of the bigger islands so we looked at a map and just chose the closets, Aegina. It was the best decision we made. We were the only tourist on the island. The island was mainly used by the Greeks living in Athens for their summer vacation so I'm sure it would have been crazy at another time, but we were there just a week before school vacation so it basically felt like we had our own private island! That's such a bummer that Santorini was kind of a let down :( BUT I'm glad you found some Baklava!! The streets were crowded just because of the tourists watching the sunset? That's so weird to me. Maybe Santorini is just more of a "touristy" spot, I guess. Also, I really love that you're recapping the details at the end of every post! Perfect if you want to travel.